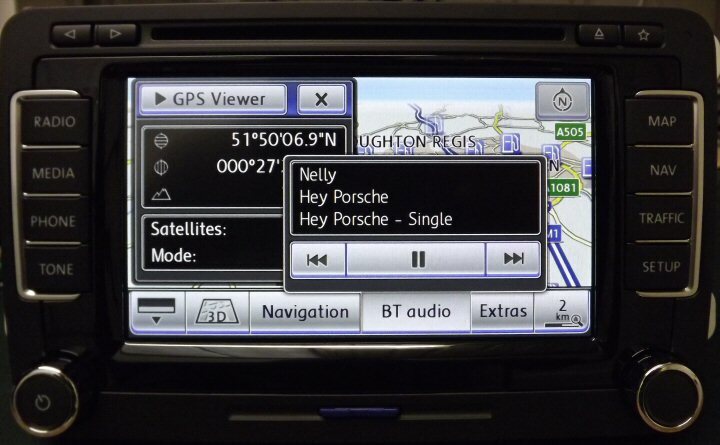 The RNS-510 is the Genuine Vw High End Multimedia System, it comes with a 7" LED High definition display, Sat Nav, Radio, CD Player, DVD Player, SD Card Reader (32GIG) and Hard Drive (40GIG). 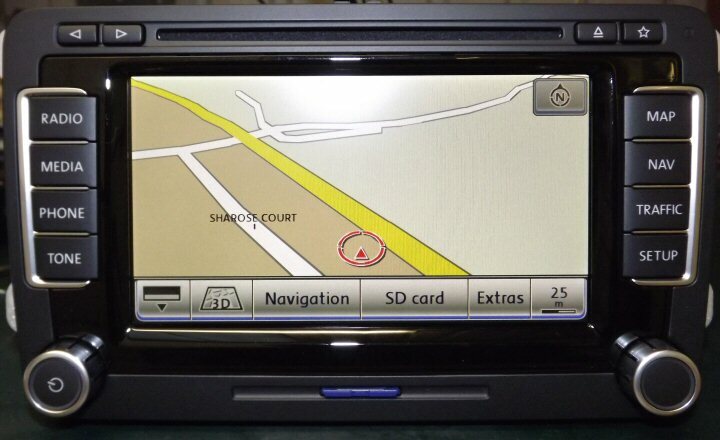 The hard drive is used for MP3s, Maps and Points of Interest. You can also load personal points of interest such as speed camera's etc. * Optical Partking Sensors. (vehicle specific please email us for a quote). 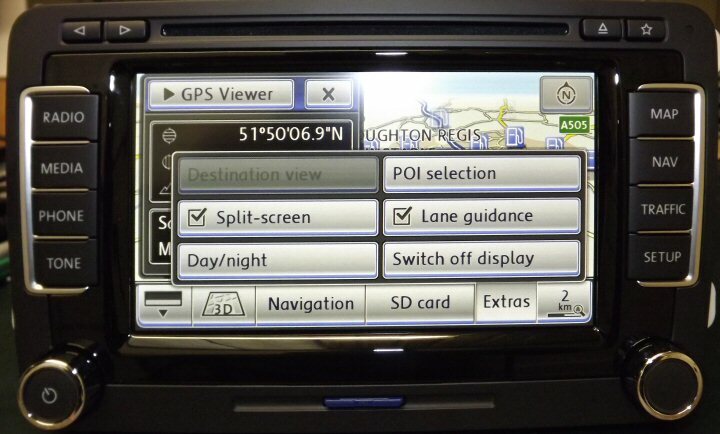 Above: RNS-510 with full Map display and Speed Cameras. 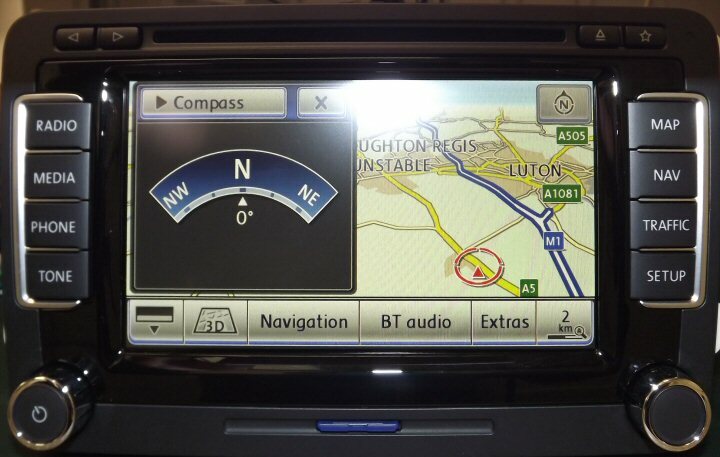 Above: RNS-510 with Map and Compass display. 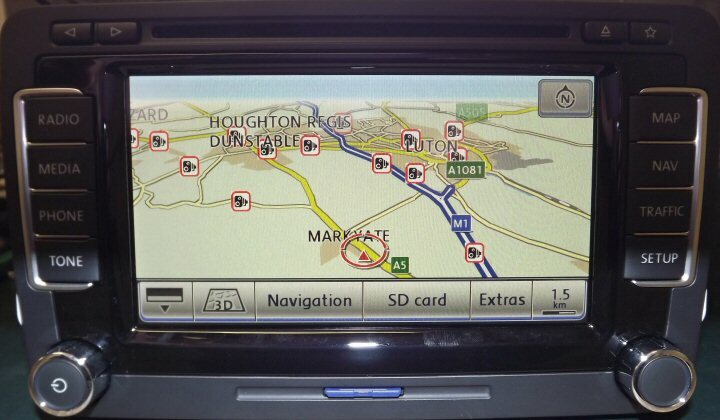 Above: Map display zoomed in. 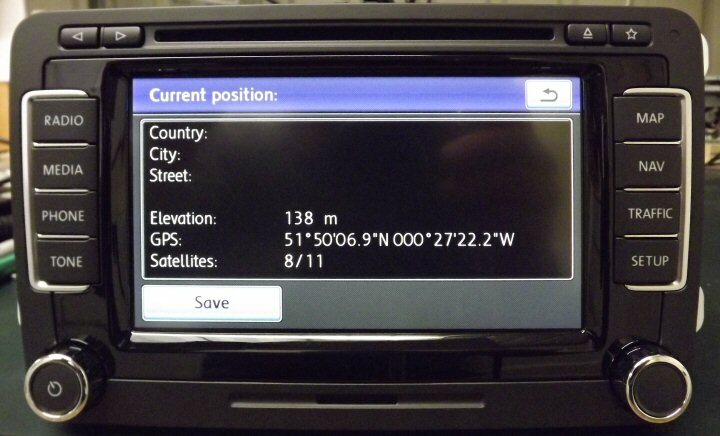 Above: Map view with GPS viewer and Bluetooth Audio displayed. (Requires optioanl Bluetooth Kit). 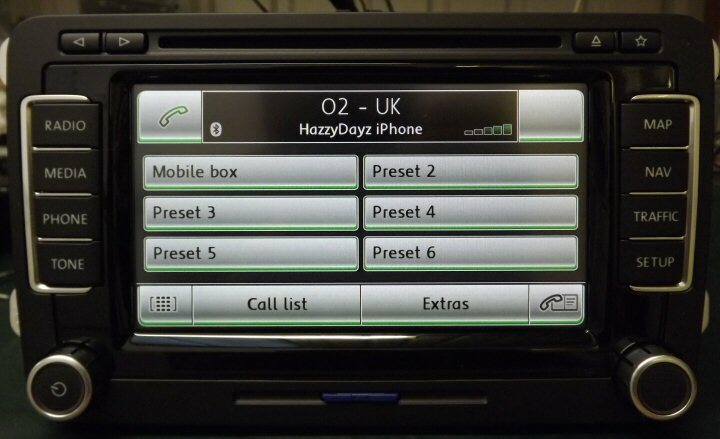 Above: Optional Vw Bluetooth Kit. 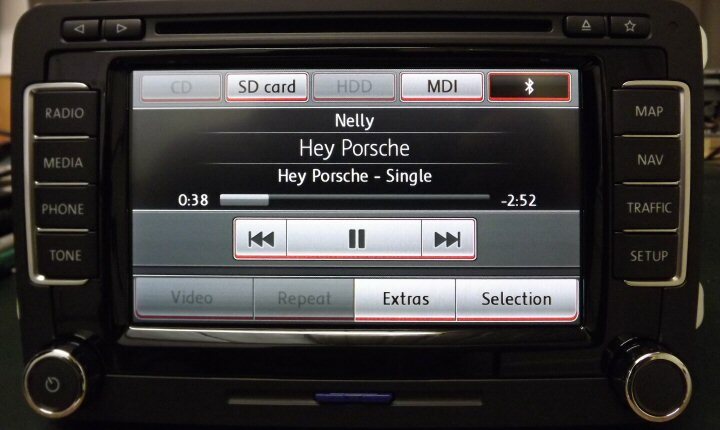 Above: Bluetooth Audio Streaming with txt Display. (Requires optional Bluetooth kit). Above: Points of Interest Selection. 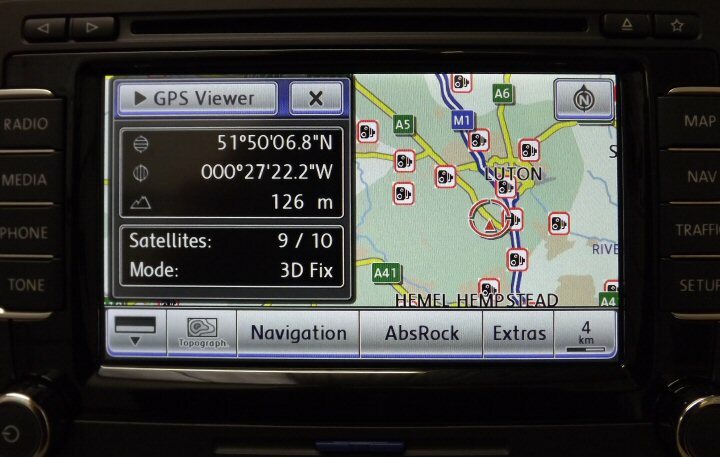 Above: Map with GPS Viewer and Speed Cameras. 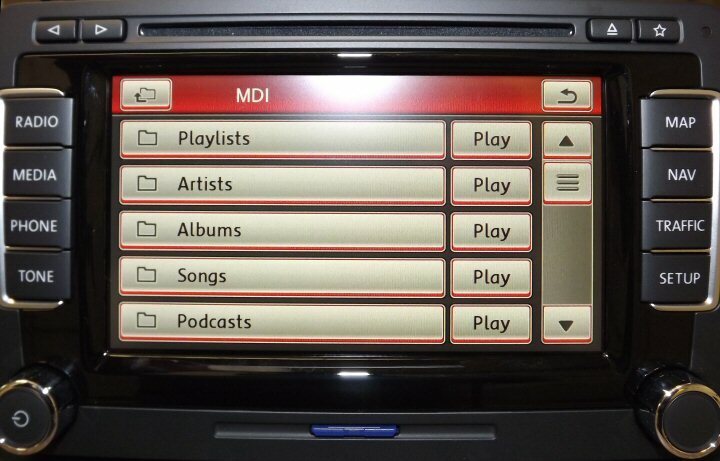 Above: Optional MDI iPod Kit. Please select options required below for a package deal discount.